Mobile solutions are one of the greatest boons for people interested in small to medium business use in the modern era. This is because of the sheer versatility of the medium, as well as what a huge market share is coming down the line in new mobile users. The amount of people who will be getting mobile devices in the next few years is going to be truly staggering, and not just in the United States. Small devices are also likely candidates for purchase by those in many developing world countries as well. Overall, it will be the small businesses that use mobile marketing the wisest that will excel the most in the coming years. This is perhaps the simplest way to use mobile marketing, but it’s also one of the most effective because of its nature. After all, not all people joining the mobile market will be getting a cell phone. Many of the old clamshell type phones that do nothing but voice and text are being called ”African” or “homeless” phones because of the widespread use of the phones by people from those areas. If you want to reach a truly wide area, you can add brand messages to text messages. Many people filter text messages less than they do cold phone calls, and it will often annoy them less. People are tethered to their phones these days, and if they do have a smart phone a link in the message will send them to your site right away. You can use promotional texts of course, with special offers sent to people who already subscribe to your brand and have given you permission to contact them through their phone number. This is one of the best approaches since you won’t run afoul of people complaining about being bothered. One simple way to do this is to include a coupon code in the message, since then even people without smart phones can redeem and use it. You can also add texts of an informational nature and send them to customers. This is a great way to market for an upcoming sale or other type of concert or event, for example. You’ll inform your customers right away using a method that’s not too invasive but that they will be sure to see. Additionally, texts are a great way to get instant customer feedback about various products that they may have recently purchased. Generally it’s important to get permission from users first before texting them, and to not overdo it. If you’re texting them more than once every few days you will be likely to get them wanting to unsubscribe. This way of marketing is great because you can follow its efficiency almost real time just like on the web – but text messages create a more intimate connection with your customers. The QR code phenomenon is a relatively new one, but it allows you to create a scanable code at any physical location or on the Internet that mobile users can scan to get immediate access on their phones. The code can contain text messages or URLs. You can hide promotional messages in them or help your customers to reach your homepage or promotion’s landing page very quickly from their cellphones. This is a way to reach your audience effectively in a way that’s fun and engaging for them. 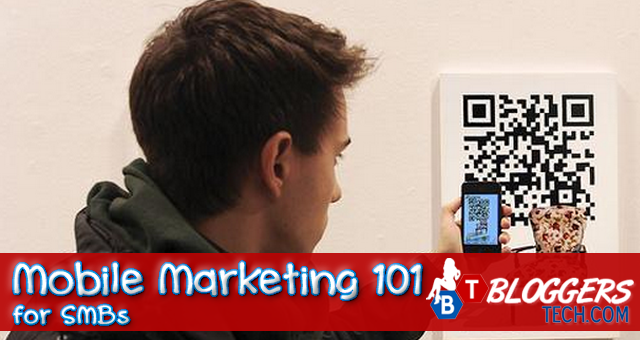 Text messages are something everybody knows but it’s possible you’ll have to educate your customers about the use of QR codes. You have to make sure they have the appropriate software and know how to handle this tool. You can encourage the use of QR code by running special promotions, e.g. offering coupons that can be unlocked or downloaded via a link embedded in QR codes or invite your customers to a “treasure hunt” where they have to locate codes or hidden messages either on your homepage (QR codes can be read from any surface) or in your store or facilities. Sms marketing and QR codes are a bit neglected nowadays as there are many new methods in online marketing, especially social marketing. But if you want to build really engaging campaigns at a low cost, you can benefit from the use of these brilliant tools many ways. This is a guest post by freelance tech and business writer Julia Nichols. For online marketing solutions Julia recommends Yodle.com, a successful company getting great employee reviews.